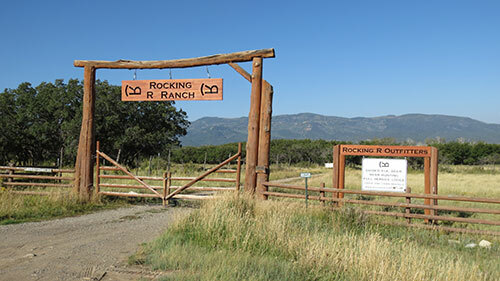 Rocking R Ranch is a new Bowsite, Outfitter Sponsor however the previous Owner of the ranch has a 20 year history of running very successful elk hunts in GMU 70 (OTC Unit) in Southwest Colorado. 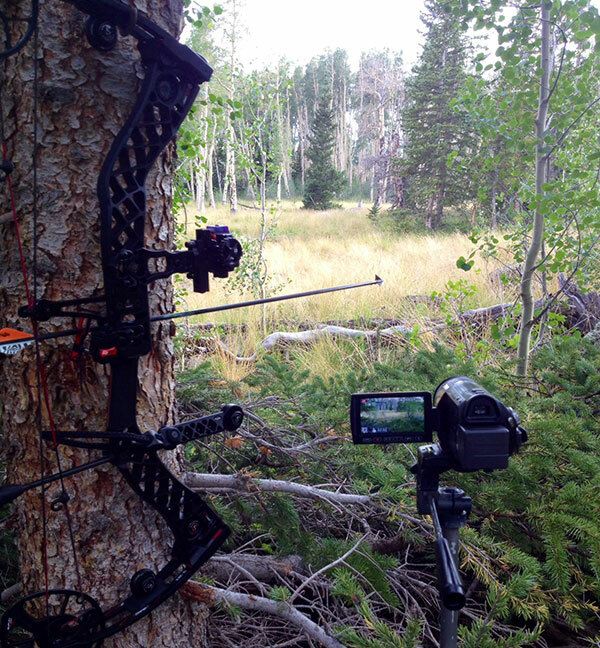 Outfitting in a OTC, Game Management Unit is great for getting tags every year for archery hunters. The famed GMU 61 borders this unit to the North and takes 20 points for a NR archery tag and 15 for a Resident archery tag. Dan Reardon is the current owner has been following Bowsite threads for many years and figured Bowsite is the place to go to advertise for bow hunters. 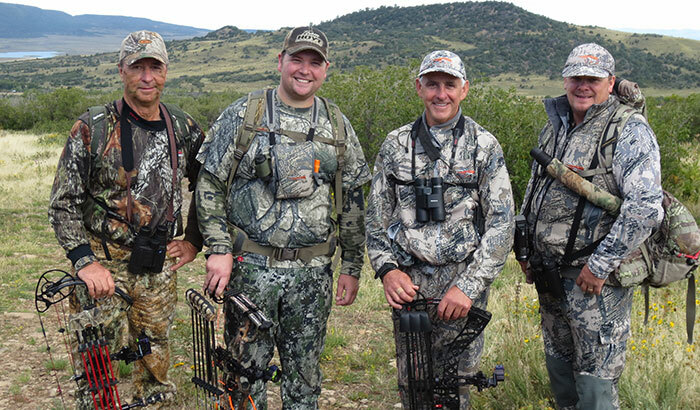 He and his guides are archery, elk/deer hunting fanatics. They are in great shape and eager to hunt hard. He approached me about doing a hunt with him and I suggested we get some other Bowsite guys as well. Dan subsequently ran a hunt Auction on Bowsite and Adam Wipfli (handle, “Adam”) bought the hunt with the “buy it now” option. Bert Stelly (handle, “Clutch”) also bought a hunt, I then talked Forest Bows into to coming along to video and help call. Dan also has two repeat hunters (Mike and Dan) from the previous owner with Muzzle Loader, cow tags. Here is the video of Adam, Clutch and Forest arriving at Rocking R and meeting me and Dan! EVERYONE should do bow hunts with fellow Bowsiters. The back drop in the video is the famous “Lone Cone Mountain, (elevation, almost 13,000 feet). We will be hunting the hillside below it at around 9,000 to 10,000 feet. 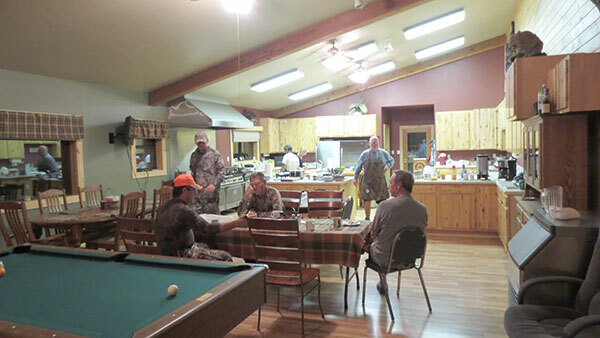 Dan owns 1,300 acres and next year will have the exclusive hunting rights to an additional 5,500 acres right close by. 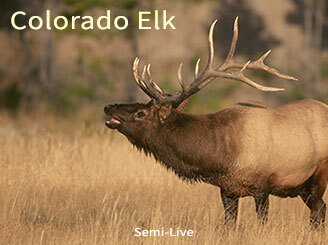 The first morning we awoke to a beautiful day and I heard elk cow calling right outside my bedroom window. (You guys may remember I spent the previous 2.5 weeks hunting with BB out of our campers in Utah so this luxury was certainly appreciated). We started with a big breakfast and then Dan, Bert, Forest and I headed out to the mountain. Clutch opted for a tree stand that first morning and had a bull come in only 10 minutes after first light but no shot. Dan’s Ranch has about 30 existing stands, blinds or tripods along water holes, trails and meadows for those that opt to sit and hunt. Dan, Forest and I took off to follow a screaming bull elk and his cows as they fed up the mountain. Each morning the elk moved from down low to up higher and our goal was to stay downwind and see how close we could get. At about 8:30 we finally snuck in to a herd of cows/calves with a really good bull. Forest let out a loud bugle only 75 yards from the bull, Dan started raking and I stood ready. He immediately answered but gathered his cows and circled down wind and left. If 10 things need to go right for a shot and 9 things do go right you still don’t get a shot. Very exciting. You guys know I am a big Sitka fan but watch this calf totally ignore me. I am in the open and not moving. Fantastic Gear for sure!! Additionally, we met a Colorado DNR Officer that was riding his horse on BLM land checking hunters as it was opening day of Muzzle Loader season. I was very impressed that Colorado has DNR guys riding horses on BLM Land. Here is a picture of the guys. L to R, Bert Stelly, (Clutch), Adam Wipfli, (Adam), Me and Forest Keith, (Forest Bows). For the afternoon hunt Dan brought us up to a meadow where we had seen elk from the lodge porch the evening before while glassing. Clutch got in one stand and I got in another. Forest stood under my tripod to film and call while Dan set up between Clutch and I to cow call. From 5:30 PM on we had 5 or 6 bulls screaming from their beds within ear shot of our stands. Talk about exciting. Then at 7:30 with Dan and Forest cow calling a screaming bull began coming our way. After hearing only stationary bugling for 2 hours to have one moving in was exciting to say the least. As he entered the meadow at 50 yards Forest stopped calling but Dan continued to cow call about 100 yards to my left. Here is what happens when everything goes right!! When you watch this video you will also hear other bulls screaming. The cow calls are Forest and Dan. 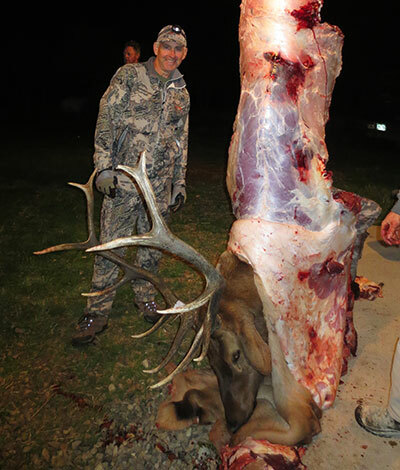 This is why I am now addicted to elk!!! Ok, my shot was a spine shot and the elk was walking. It was not perfect but fortunately it worked out. The wind was good but I was still nervous that if we tried to stop him he would bolt. With the bull screaming his way in and those white antler tips it was truly amazing and to share it with Forest, Dan and Clutch was the best. We had a great night! Here is the picture of my bull. 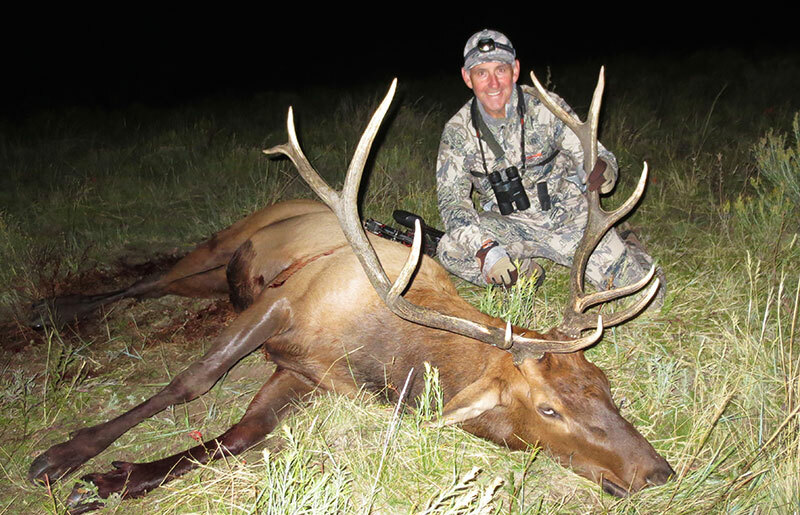 Watch Charlie shoot this big elk! Dan has a jacked up, older Tacoma with a big winch so we cranked up the bull and brought him to the lodge to skin then hang in the cooler. Clutch saw two bulls including mine but no shots. Adam and Landon were into them but no shots and the ML guys did not get their shot. What a hunt!! I am one lucky guy for sure! !